Zephyrhills, FL – David Reutimann, driver of the No. 00 Aaron’s Dream Machine in the NASCAR Sprint Cup Series for Michael Waltrip Racing, will be hosting his 6th Annual Charity Golf Tournament, Cook Out and Auction on December 3rd and 4th from Silverado Golf and Country Club in Zephyrhills, Florida. “Wow, I can’t believe it’s been six years since we first started having this event and each year it gets bigger and better. I’ve always been extremely proud of where I’m from, so it’s very special for me to come back each year and give back to the community and those in need,” said NASCAR driver and Florida native David Reutimann. The cookout and auction will take place on Friday night, December 3rd, followed by the golf tournament on Saturday morning, December 4th. Proceeds from all activities will be donated to numerous Florida based charities. 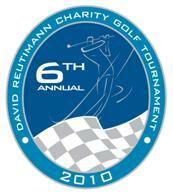 In 2009, the David Reutimann Foundation was proud to raise over $100,000 for numerous causes and organizations, including donations to All-Children’s Hospital and Camp Boggy Creek (to name a few). “The cookout and auction on Friday night is a relaxing, enjoyable time for everyone that attends. We encourage everyone to come out for a night of good food, friends and family. It’s all for a great cause and in these times that means even more to so many,” said Reutimann. The cook out will start at 6:00 p.m., followed by a live auction of sports memorabilia from numerous NASCAR drivers, professional sports teams and professional athletes. After the auction has concluded, a concert will take place. “We’ll have items for auction that appeal to every type of sports fan, including NASCAR tickets, uniforms, helmets, and plenty of signed sheet metal, including a few pieces from the Aaron’s Dream Machine. As well as, items from local pro teams and other big name athletes from all types of professional sports,” stated Sean Klotz, Golf Professional and General Manager at Silverado Golf and Country Club. Hole sponsorships and slots for teams/players are still available for the golf tournament, and tickets are now on sale for the charity cookout/auction. For more information on attending, please contact (813) 788-1225.